Director James Gunn has confirmed French actress Pom Klementieff will play Mantis in Guardians of the Galaxy Vol. 2. Mantis is a half-Vietnames, half-German hero with psychic powers, martial arts skills, and ties to the Kree empire. In the comics, she’s the daughter of the morally ambiguous character Libra and has been a member of both the Guardians and the Avengers. 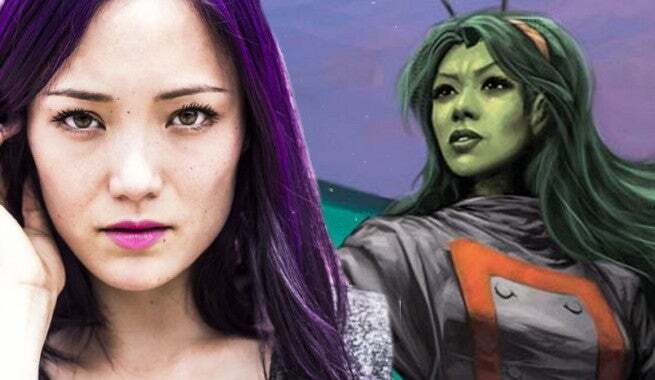 Klementieff is one of several new cast members now confirmed for Guardians of the Galaxy Vol. 2. The others are Kurt Russell, Elizabeth Debicki, and Chris Sullivan. Gunn says fans will have to wait to find out who the remaining cast members are playing. The new cast joins returning Guardians of the Galaxy stars Zoe Saldana, Dave Bautista, Vin Diesel, Bradley Cooper, Michael Rooker, Sean Gunn, and Karen Gillan.